If you're not following me on instagram, or Facebook, you may not know that I just returned from an amazing trip to Cabo San Lucas, Mexico. So you can expect me to share a few photos of my trip over the next few weeks. I shot this one at sunset from the beach in front of (or maybe its behind?) our hotel, the Riu Santa Fe all-inclusive resort. 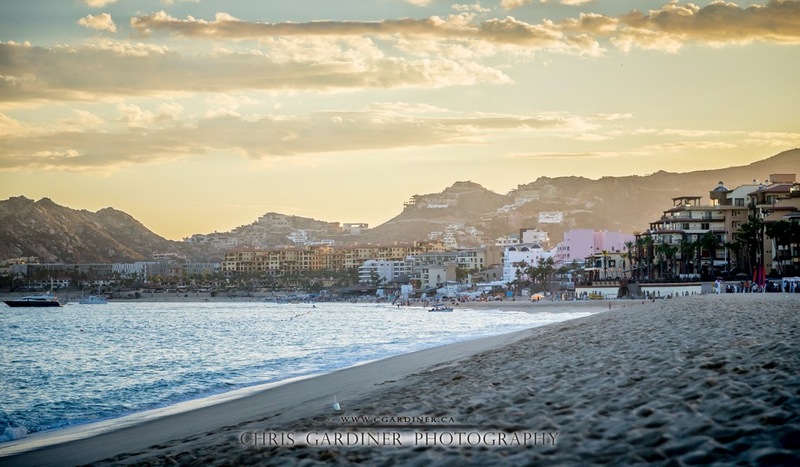 There aren't many places I have been that have great placement for both sunset and sunrise, but Cabo is one such place.